Luxury reps has hand selected the top brands,chefs and partners in the world. Woodstone home is the premiere residential hearth oven. It is the perfect oven for entertaining in your home or on your property. Distinct domestic appliances born from a collaboration with leading architects of the world. Products that express "Made in Italy" style by perfectly combining design, performance and attention to detail. We plan, cook and host at events California wide. Ask for more information to see how you can have a delicious and beautiful event with us. Wood Stone produces highly engineered equipment combined with patented materials and processes to provide premier quality stone hearth cooking equipment. Natural convection because of the designed shape of the oven. Radiant heat from the golden flame in the rear, optimized for hearth cooking. Conductive energy from the floor which utilizes a proprietary ceramic material developed specifically for hearth cooking. When all three of these styles of heat work together, juices are locked into the food all while creating natural caramelization which brings out the most flavor possible. The result: your food tastes better when cooked in a Wood Stone Home oven. URBAN BONFIRE'S OUTDOOR KITCHEN SYSTEMS HAVE A WIDE ARRAY OF FUNCTIONAL AND AESTHETIC OPTIONS TO CHOOSE FROM. BEYOND PROFESSIONAL QUALITY GRILLING AND COOKING EQUIPMENT, EACH CUSTOM KITCHEN IS CONFIGURED TO MAXIMIZE OUTDOOR STORAGE AND ENTERTAINMENT SPACES WHILE OFFERING CLIENTS A VAST ARRAY OF MATERIAL, COLOR AND FINISHING CHOICES. Aesthetic reasons aside, Smeg's identity is an expression of its actual Italian origins and the fact that the company is passionate about what it does. Smeg aims to identify and reflect the defining characteristics of Italian design, such as inventive elegance, originality and product quality. 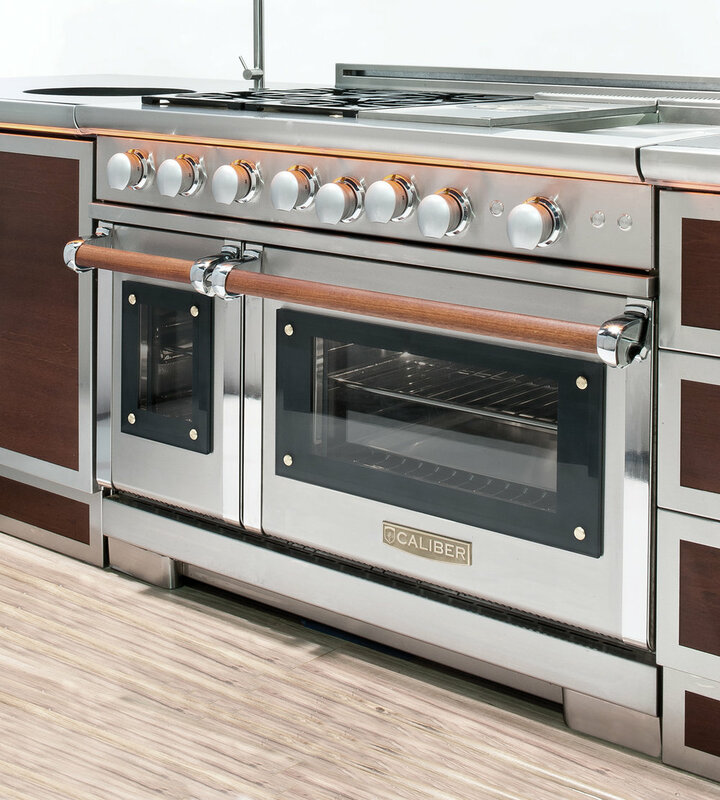 Steeped in tradition with over decades of combined experience, Caliber Appliances partners Randy Rummel and Dan Nichols build their award winning products with passion for culinary design and innovative engineering. Every line, every feature, every detail down to the tooling on the burners is crafted with an intense devotion to providing the customer amazing results — hands-down, you can Expect Great Heat™ from Caliber products. 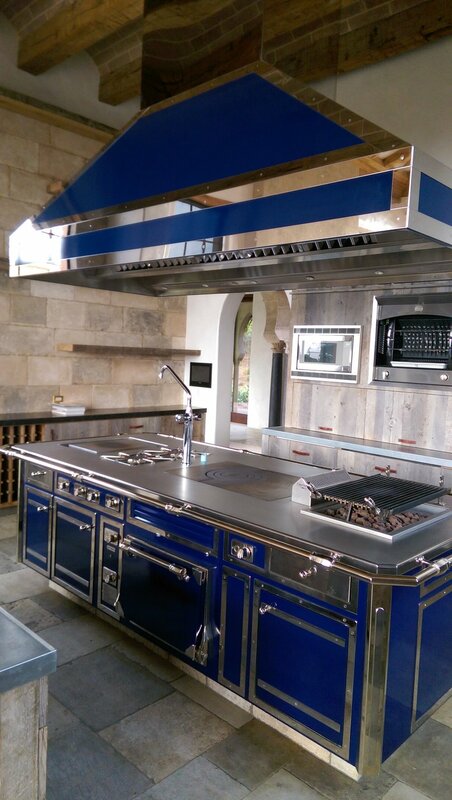 a fabricator of custom cooking ranges for the world’s finest restaurants. We have produced ranges for the most well-known chefs to ever enter a kitchen and the most revered restaurants. The Culinary Institute of America, the French Laundry, Il Bulli, Jean-Georges, Restaurant Daniel and many others have turned to Maestro by Bonnet when it was time to outfit their kitchens. Maestro is a small artisan workshop of about 25 employees located in the idyllic town of La Motte de Galaure, just north of Provence, in Southern France. Surrounded by the iconic vineyards of the Cotes du Rhone region, it is nestled in a small farming community with roots in grapes, sunflowers and lavender. Idle chitchat at the local café and boulangerie are by far the most common forms of communication in this serene setting where Blackberries are still a fruit. We offer an assortment of pre-designed ranges here but we design custom stoves every day. We only make one thing; ranges. Want to do a collaboration between one of the brands we represent? Contact us! We host pizza parties, product launches and dinners. We are also open to collaborating on any ideas with you. We bring the food, chef and server. You bring the guest list. © 2018 Luxury Reps Inc.